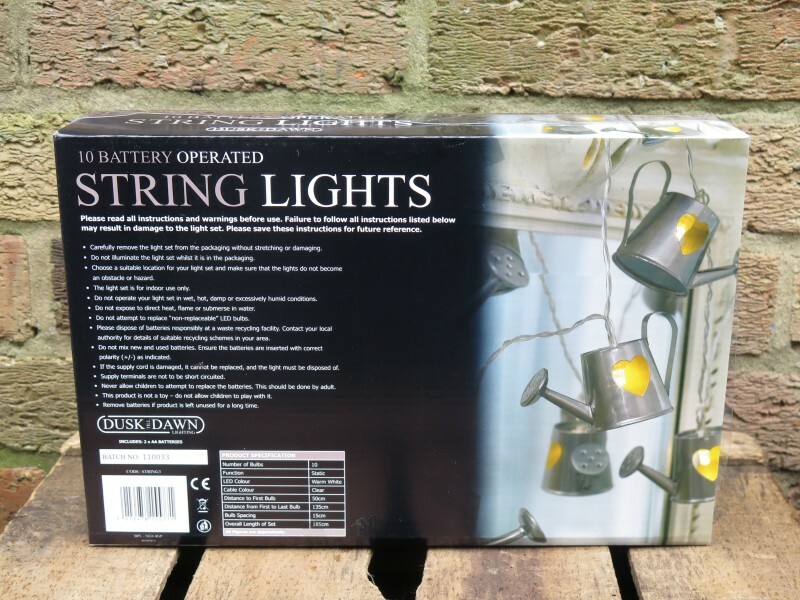 Categories: Christmas, Outdoor Living, Sale. 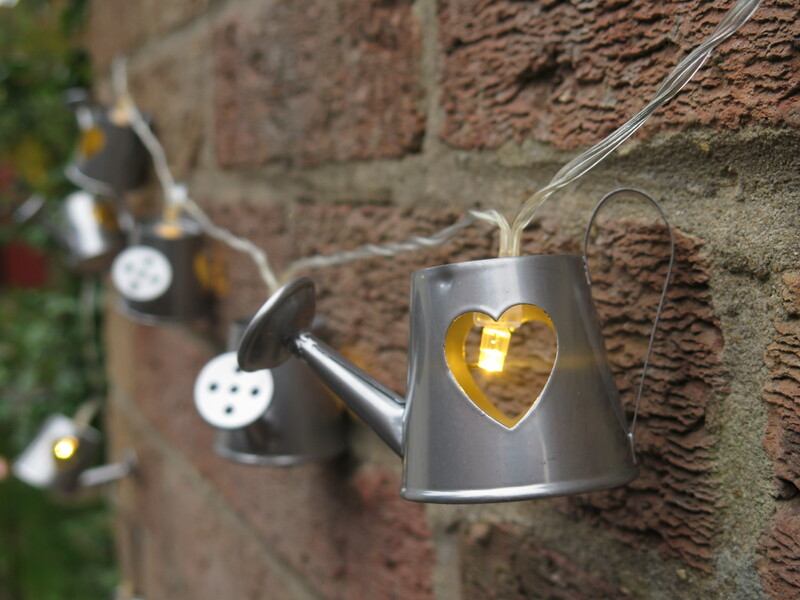 Tags: Christmas, Fairy Lights, Lights, String Lights, Watering Cans. 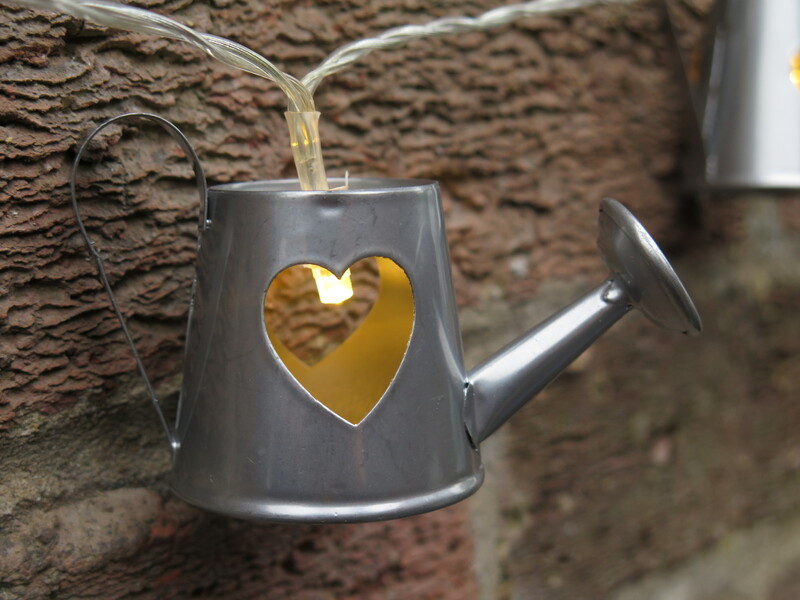 This adorable string of watering can lights will look perfect in your garden shed or in your home. 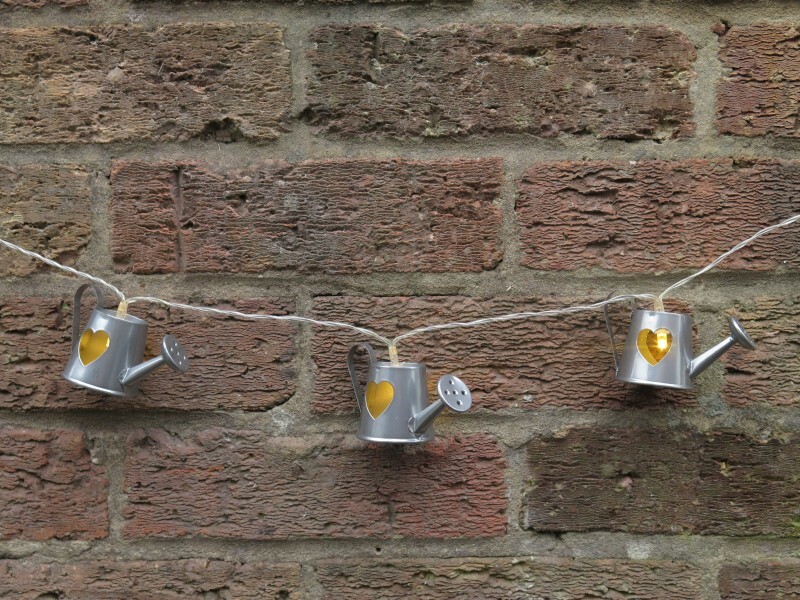 There are 10 watering cans, each one has a heart cut out with a single warm white LED battery powered light inside. 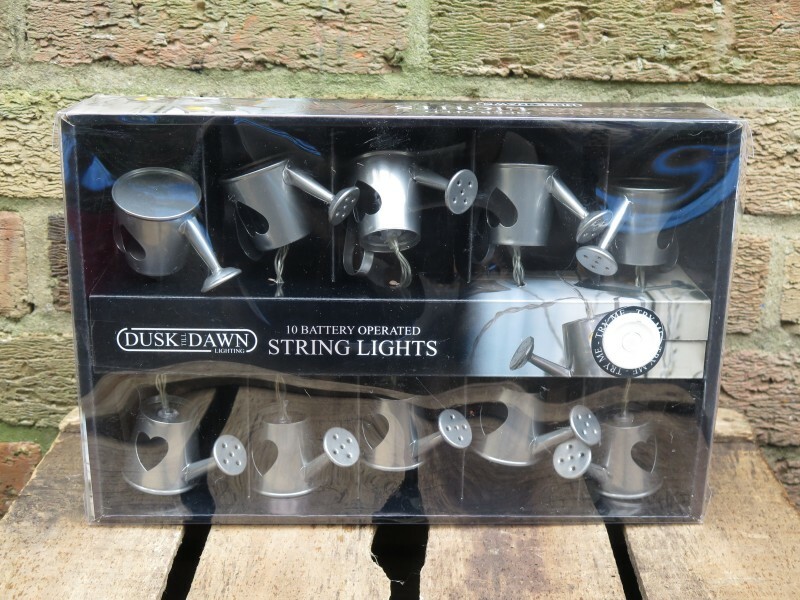 Comes in a box, 2xAA batteries included.